Easy business credit cards let small business owners purchase supplies and pay bills, without having to draw from their working capital. The credit helps them maintain cash flow and easily tackle any financial downturn. Additionally, easy business credit cards can improve credit score as you continue to pay off balances on time and do not exceed credit limits. With so many business credit cards available, business owners can enjoy credit limit up to $50,000 or more. There are plenty of business credit card options, but you must choose the right one that suits your business needs. Thankfully, you do not need an accounting degree to determine the best business credit cards. 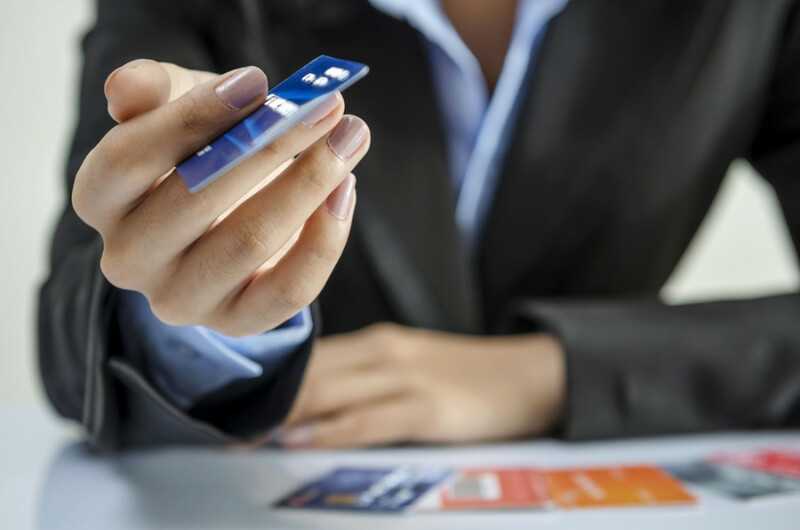 In the following list, we cover some easy business credit card options for your consideration. If you are looking for a business credit card that offers flat cash back on every purchase, Capital One Spark Cash for Business is for you. The annual fee for using Capital One Spark Cash for Business is just $59. This easy business credit card offers a flat 2% cash back for purchases in every category. If your total purchase amount reaches $4,500, within the first three months, you will get $500 cash back bonus. Using the Capital One Spark Cash for Business, you will not have to pay any balance transfer or foreign transaction fees. The card includes other business friendly features like fraud alerts, downloadable purchase records and excellent customer care. The U.S Bank Business Edge Platinum is another easy business credit card. It is most popular for new businesses with limited financial resources. Small businesses, which have incurred some debt, should also opt for this low interest credit card. It does not require the business to pay any annual fee. Plus, the APR for the first year is 0%. After a year, the annual percentage rate will vary from 10% to 18%. The only major downside of this business card is that it does not offer any rewards or bonus points. The major selling point of Chase Ink Cash Business Credit Card is zero annual fees. It is a convenient credit card for business owners who are planning some big purchases for their office. The Chase Ink credit card offers 5% cash back on purchasing office supplies, which includes office safety products, 2% cash back for paying restaurant bills or gas stations and 1% on all other purchases. It charges $5 or 3% for balance transfers and 3% for foreign transactions. Morevoer, there is 0% APR for the first year and if you can purchase supplies up to $3000 in the first three months, $200 will be awarded as cash back bonus. On top of that, your earned rewards do not expire so you can use them as required. If you travel frequently for business, then you probably want to consider the Blue for Business Credit Card. This is a reward based credit card that offers 10,000 bonus points to users after making their first purchase within the first three months. On average, the 10,000 bonus points are equivalent to $100 gift card. Then, you will continue to earn reward points throughout the life-cycle of the credit card. With the Blue for Business Credit Card rewards program, you will earn 2 point per dollar every time you travel and 1 point for other expenses. Additionally, you will get an anniversary bonus of 30% every year. You also will not have to worry about the United frequent flier changes, which have been aggravating many business travelers as of late. The CitiBusiness AAdvantage Platnium business credit card is a good choice for businesses with established credit history. With this card, you will enjoy special benefits and airline miles. By spending $1000 within the first three months of getting the credit card, you will get 30,000 AAdvantage bonus miles. For the first year, you will not have to pay the annual fee of $95. It deducts 3% fee for any foreign transaction and balance transfers. With the CitiBusiness AAdvantage Platinum Select World Master Card, you can get first class facilities by boarding American Airlines flights. Plus, you will get 25% discount on purchasing food or beverages on board. Using easy business credit cards and maintaining them show that your business is growing at a healthy pace, and will help to clean up credit scores for your business. Most business credit cards are designed to offer business related privileges on purchases and travels. After comparing their advantages, select a card that will best fit your business needs and preferences. If you want a reputable credit card for your own personal use to help you front the costs for all your business trips, there are two options. Depending on whether you have fair credit, a score in the range of 650-699, or poor credit, a score below 650, you will have different options available to you. These two credit cards offer you the lowest APR and best rewards, alongside providing you a real probability of acceptance. If you want to find easy credit cards for personal use in addition to the best business credit cards listed above, consider these two top options. The Total Visa credit card makes personal credit cards a real possibility for those with poor credit ratings or no credit history at all. This personal credit card only requires you to have a checking account. They allow you to make easy, affordable monthly payments at your own comfort level. This way, you can buy that noise cancellation device you have been needing for your home office. They also have an incredibly quick and easy application process. If you need personal credit and the options above are not for you, consider the Total Visa credit card.